We would like to give a special thanks to all of our loyal customers for the support they have given us over the years. Thank you, live long and prosper. Built 1951, see your current movie with a 1950s feel. Movies powered by the Sun!!!!!!! 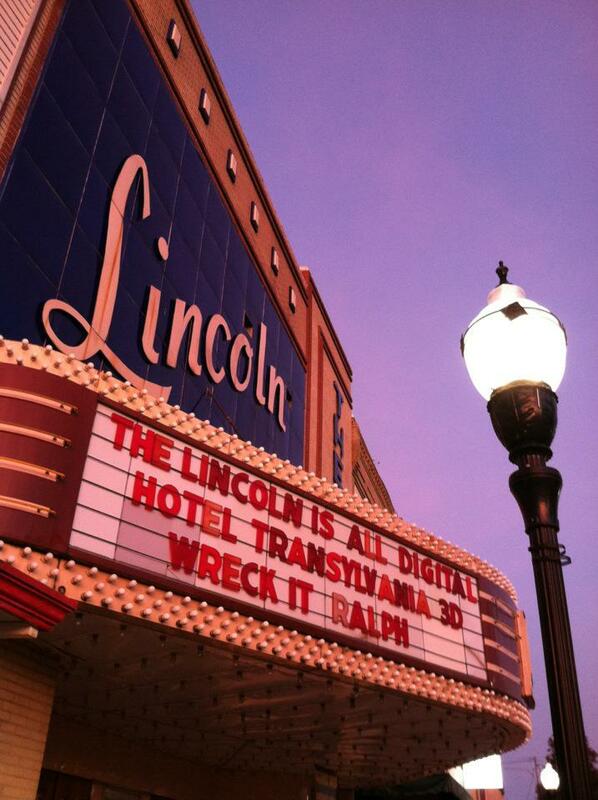 The Lincoln has solar powered movies. We are confident we will not sell out. (Avengers will be showing on 2 screens at the same time) But for those who would like to purchase early for the 25th showing, we will start selling tickets for the 25th at our boxoffice widow on 17th - 25th. We open 30 minutes before our first show. Our boxoffice will close 15 minutes after our last show starts. COME BY THE LINCOLN THEATRE AND ASK FOR THE MANAGER. AVERAGE TICKET PRICE IN 1971 WAS $1.65. ADJUST FOR INFLATION THAT 1971 TICKET WOULD BE $9.16 IN 2011 DOLLARS. & an avg. of 8.3% goes to RealD for 3D. ﻿ Monday and Wednesday movies will be price at 5.02(plus tax) for everyone. IF YOU ARE INTERESTED IN SCIENCE, CHECK OUT THESE WEBSITES! Copyright 2011 Lincoln Theatre. All rights reserved.